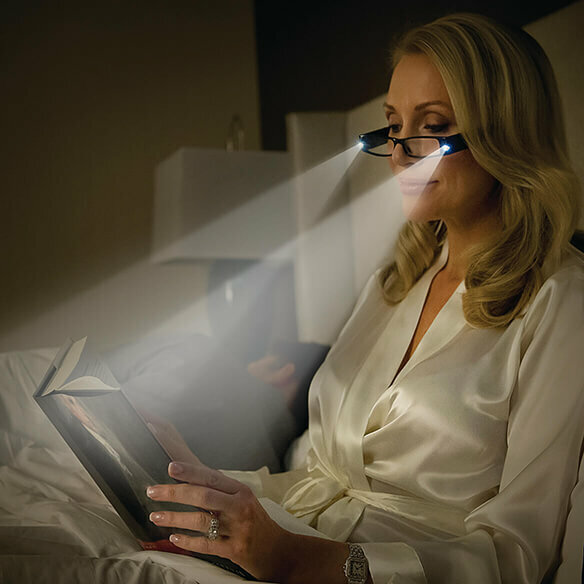 Lightspecs® Lightweight LED Reading Glasses relieve eye strain with this combination of light and magnification. Polycarbonate frames and optical-quality lenses are ultra lightweight for hours of wearing comfort. 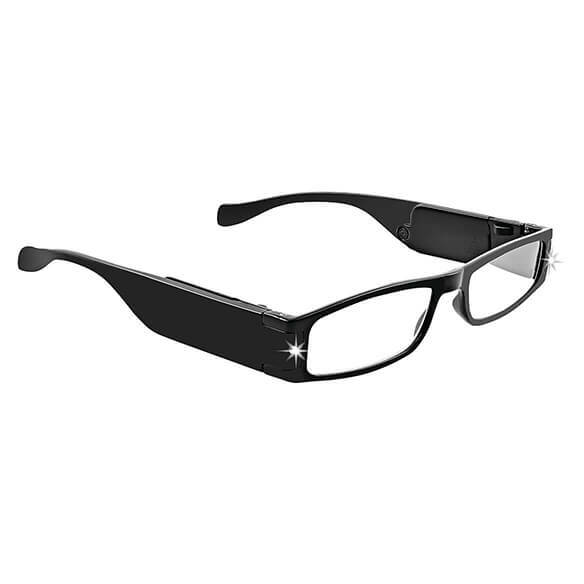 Bright LEDs are built into the frames for focused light and reading ease. Ideal for reading in restaurants, in bed, during travel and more. 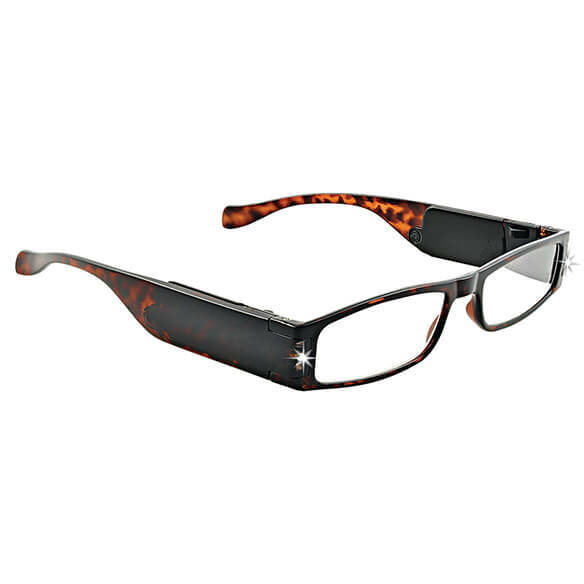 Stylish universal glasses with lights are available in black or tortoise. These are the best for airplanes and restaurants. Just be prepared for people to ask you if they can borrow them. I am hoping they will be lightweight and a convenient way to read at night, every other product I considered was cumbersome clip on or needed space to rest a light etc. I have chosen this item because I had one before and it was so great, I loved the style the light and how it sits comfortable on my face. It works well for me and I can use it without disturbing anyone when I am up reading.